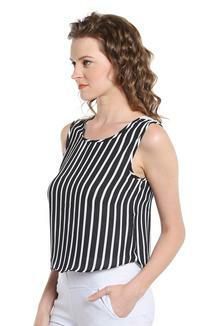 Incorporate sleek design into your casual collection with this top from Noble Faith. Made from good quality fabric, this perfect fit top is lightweight. 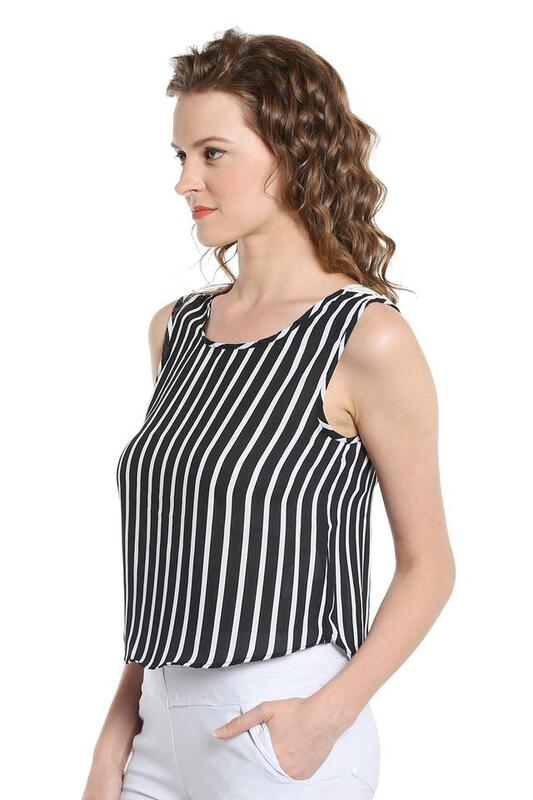 Featuring a round neck and striped pattern, this sleeveless top possesses a stunning gracefulness. 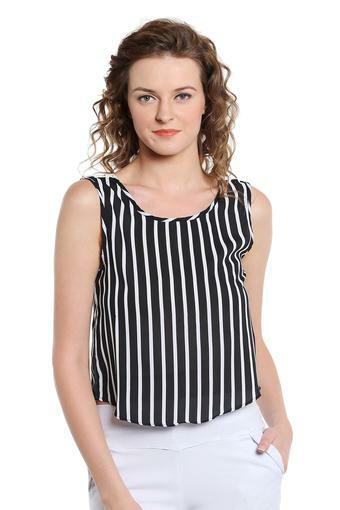 Make a statement in chic print with this top from Noble Faith. 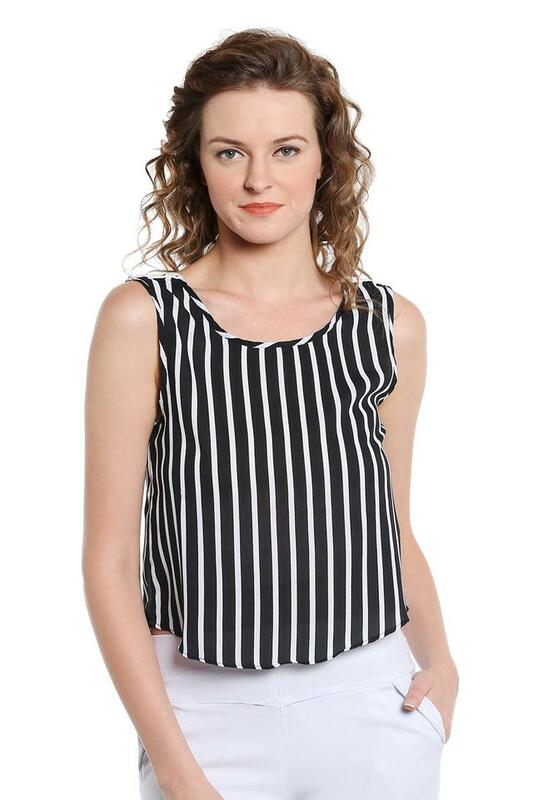 Team this top over a pair of skinny fit jeans and strappy flats. Noble Faith draws inspiration from the latest fashion trends. Proudly bringing you our line of high-quality fashion clothing.